Please note: You must bring two print outs of your boarding ticket/voucher for the Titanic Belfast and Belfast City Sightseeing tour. 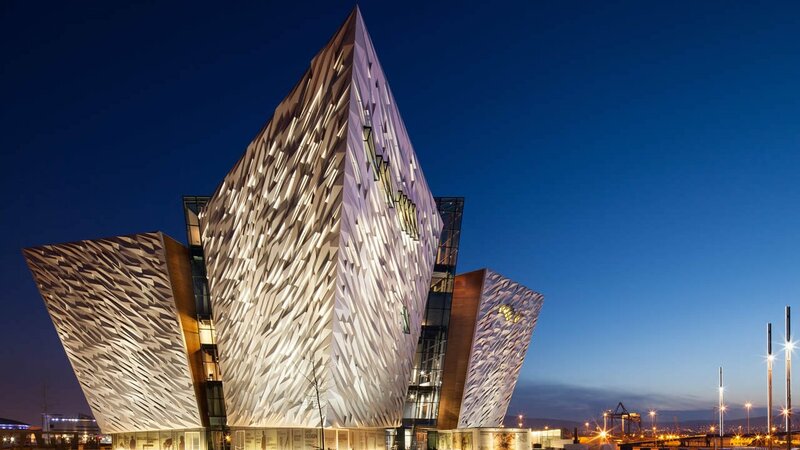 You can now visit Titanic Belfast with our new combo ticket that includes your 48 hour Belfast City Sightseeing AND entry to the award winning Titanic Belfast Visitor Attraction – this is incredible value for just £27.00 for adults and can be used for ANY time slot. Your Belfast City Sightseeing hop on / hop off tour can be used the day before the date you choose for entry to Titanic Belfast! (Belfast City Sightseeing ticket allows unlimited travel for 48 hours) or even the day after. You can call us any time on 028 9077 2180 if you need any help at all. See you soon! You can Hop on/Hop off at any of our 23 designated bus stops. Monday - Saturday: 10:00am - 4:30pm and Sunday: 10:00am - 4:30pm. Please note, you must board at Stop 1 to get to Stop 4, the hop-on/hop-off stop for Titanic Belfast without having to do the full tour cycle. You must bring 2 print-outs of your boarding ticket/voucher, one for the Titanic Belfast and another for the Belfast City Sightseeing tour. Children under 5 years of age can travel free.